This program assists students in achieving their high school diploma (HSD) or equivalency (such as GED) and in preparing for college and work. Our Transition Team is available to work with you on your college and career goals. To enter our program, you must take a placement test at the Adult School and attend Student Orientation to Academic Readiness (SOAR). After SOAR, you will make an individual counseling appointment with a member of the Transition Team. We will help you evaluate your transcript, and you will create a personalized class schedule that supports your learning goals. You will need to bring all of your high school and college transcripts with you to your counseling appointment. This means you will need to contact your former high school or district office for official transcripts. Please plan ahead as this may take several weeks. Adult High School and GED programs are designed for students who plan to finish their secondary education and transition to college and/or career training. As a WIOA Title-I financially assisted program, Fremont Union High School District Adult School, is an equal opportunity employer/program. Auxiliary aids and services are available upon request for individuals with disabilities. Your high school class has graduated, or you have not been enrolled in high school in the last 60 days. Adult students who are returning to school to complete their requirements for high school diploma. For current high school students whose class has not yet graduated, please contact your high school Guidance Counselor or Assistant Principal for referral procedures. Register for a free placement test and orientation class by calling (408) 522-2700. 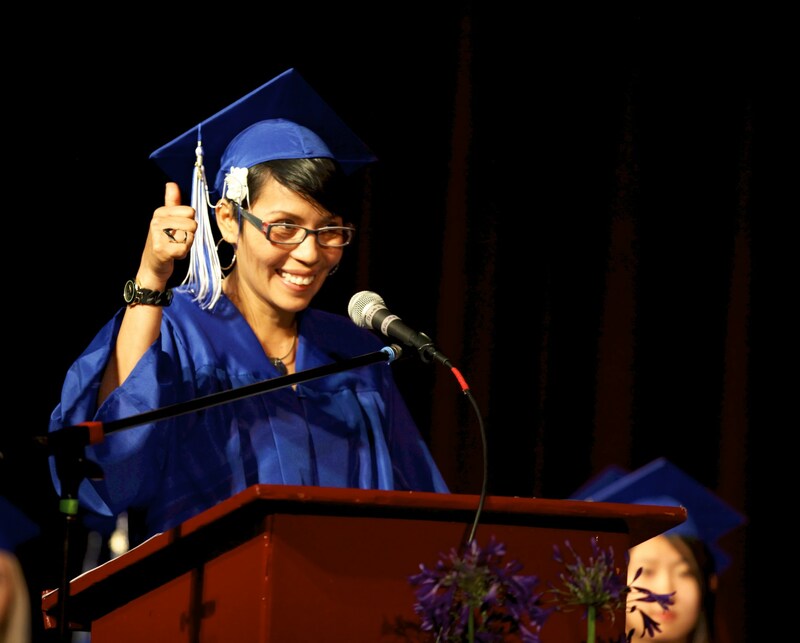 A graduation ceremony is held annually on the last Tuesday in June to celebrate and recognize students who have completed their high school diploma or GED. The graduation ceremony for the 2018-19 school year is scheduled for June 25, 2019, at 7:00 p.m. Family and friends are encouraged to attend. Please mark your calendars now. For more information, please see the link in the box below under "Program Information." Do You Need A GED? Want to know more about college and career? Want to know More about College & Career?